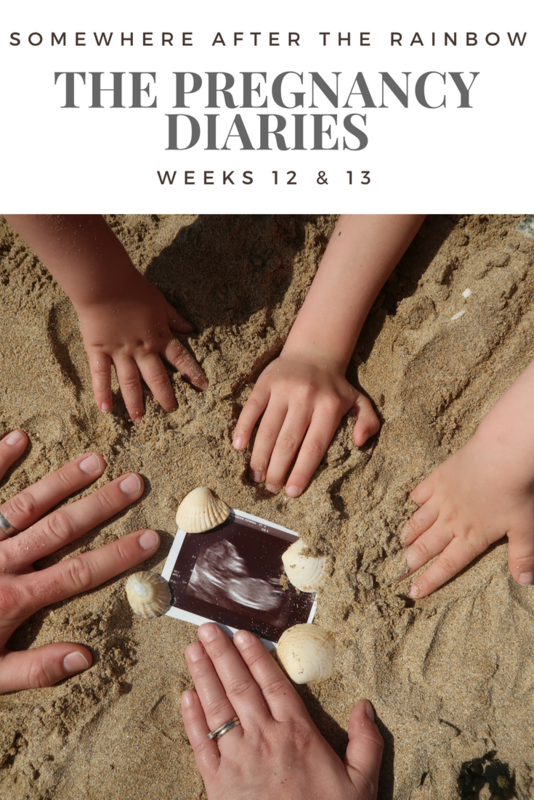 This is the first in my series of weekly uploads to document this pregnancy. I would love for you to let me know if you are expecting too in the comments. Maternity clothes? Still fitting in my normal clothes but my jeans are tight at the end of the day. Sleep? I’m still feeling like a I need a 20 minute nap midday – plus I keep waking at night and find it hard to go back to sleep. Best moment this week? Feeling much less sick – I’m still throwing up but the constant nauseous feeling has gone. Symptoms? Tired, still sick and vivid dreams. Food cravings? Lemon drizzle cake. Anything sugary! Food aversions? The smell of bread in the cupboard makes me heave! Belly button in or out? In (I’d be surprised if it ever pops as it never has yet). What I miss? My energy! What I’m looking forward to? My dating scan next week. Bump? Mainly bloat – and left over from the others lol! Maternity clothes? I’m living in non maternity jersey maxi dresses with my denim jacket at the moment as they hide the (still secret) Bump that is coming. Sleep? I’m still not sleeping great at night – well I sleep fine until 3am and then the need to wee takes over. Then I find it hard to go back to sleep. Daytime naps haven’t been needed as much – although by 7pm I feel exhausted. Best moment this week? Finally having our dating scan and seeing little one. No matter how many times I’ve had scans, it is still so beautiful and magical to see them for the first time. Also I was very grateful there was only one in there! Also Mason celebrated his 3rd birthday! Symptoms? Insomnia and still throwing up first thing in the morning. Food cravings? Masons birthday cake! Food aversions? Chewing gum helps me feel less sick but as soon as the flavour goes it makes me gag and heave. Gender? No idea – but we’ve booked a private scan for a few weeks time. Nearly everyone who has looked at the scan picture has said a girl though. What I miss? Nothing really – although I would like some energy back now! What I’m looking forward to? We are going away for the weekend and are going to film an announcement video – I can’t wait to finally tell the world!